With heavy hearts we must announce that we lost our friend and coworker, James Steven Corley, known to most of us simply as Steve. He passed away Monday, January 18 after a rapid decline in health over the last few months. Steve worked here at H2O International for 19 years as warehouse manager. 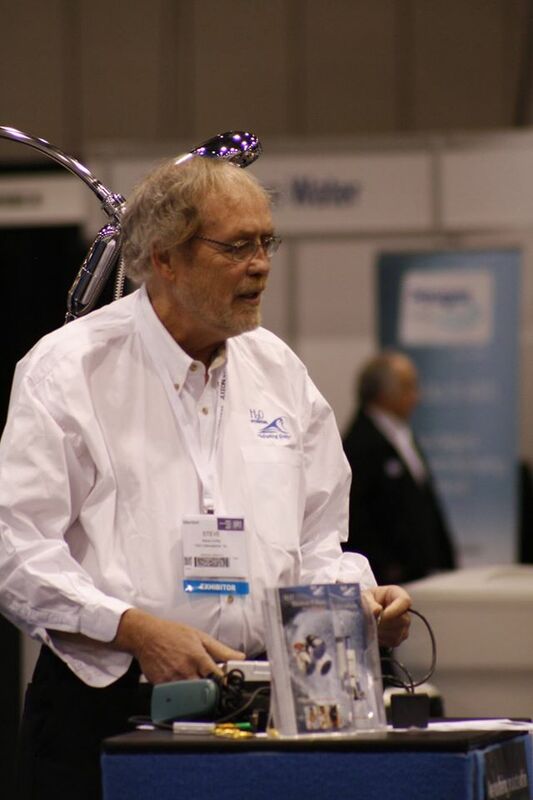 With more than 40 years of experience in the industry, Steve was the go-to guy for technical questions about products and filtration. In spite of his age and his deteriorating health, Steve possessed an excellent memory and a determination to work. He was also light-hearted and funny, seemingly always in a good mood and always ready to tell a joke he’d recently heard. Even when we saw him last week at the hospital…in spite of having difficulty breathing, he made sure to tell us his latest joke before we left. He was a tall, big-hearted presence around here and he will be greatly missed. All of Steve’s family lives in Arkansas. His brother Mark lives in Fayetteville. Steve enjoyed going out to Mark’s cabin in the country, surrounded by nature. His sister Ellen and her husband Dave Malm live in Jasper. Steve was very close to their twin children, Kathleen and Daniel. He went to great lengths to obtain empty ostrich eggs for them. He colored the eggs and had them hidden along with the regular Easter eggs…just so the kids would be amazed when they found them. Kathleen is now grown up and married to Tony Marleneanu and they live in Maumelle. Daniel and his wife Lauren live in Little Rock. They now have two young children, Benjamin and Beckett. 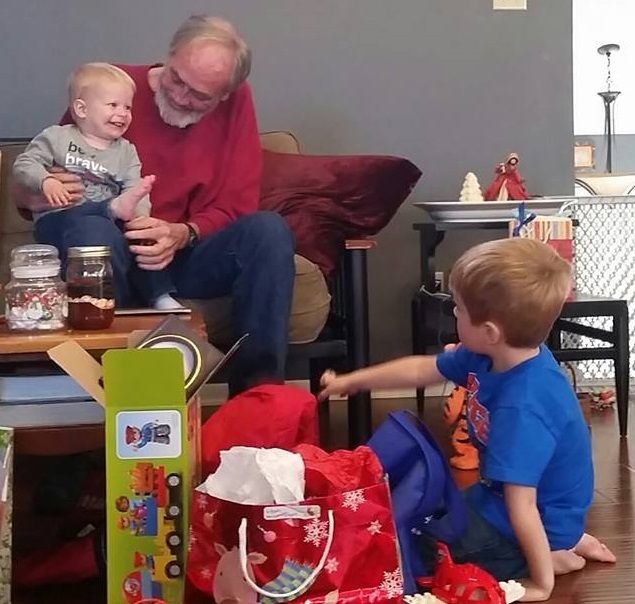 Steve was able to see and visit them for the first time during the recent Christmas break. He repeated the ostrich egg surprise for them also. 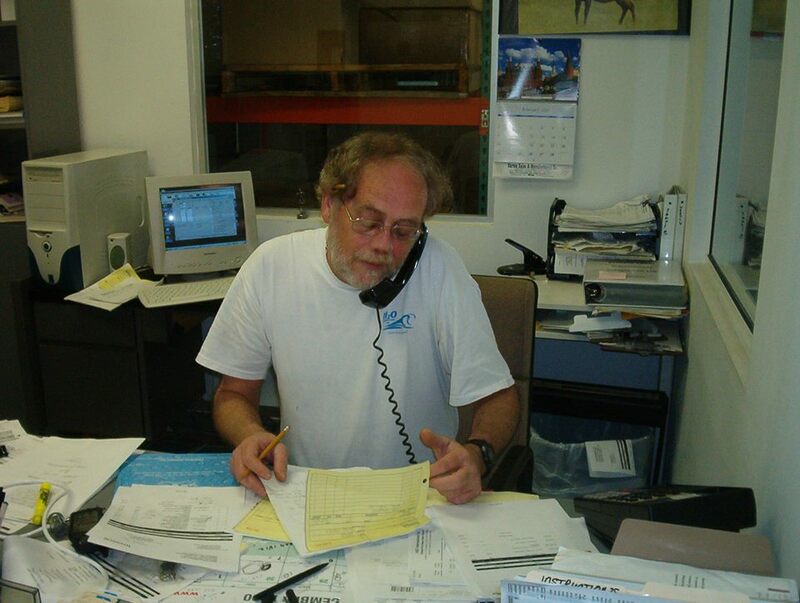 Steve was also a part of our family here at H2O where he worked since 1996. He spent much of his time in the warehouse, purchasing materials and overseeing the manufacturing of our products. But he also worked in the office, communicating with customers about any and all product issues and coordinating with the staff to process orders. His deep knowledge of the industry made him very valuable to our company. He had a role in just about every part of the business. He was also loyal and eager to work, always maintaining a good attitude without any complaints of long hours or working on Saturdays when needed. Steve with Kathleen and Daniel during their 1998 trip to Florida. Steve maintained a variety of interests and hobbies which he regularly talked about. He often mentioned his excursions on the Loxahatchee River, a seven-mile stretch in Jupiter, Florida where he would set out on a canoe to take pictures of wildlife and the beautiful landscapes. “If you take that route on the river,” he said, “you’ll see exactly what the Native Americans saw…it’s virtually unchanged.” He spoke often about his dog from long ago, a German Shepherd that he trained to fetch a can of beer. 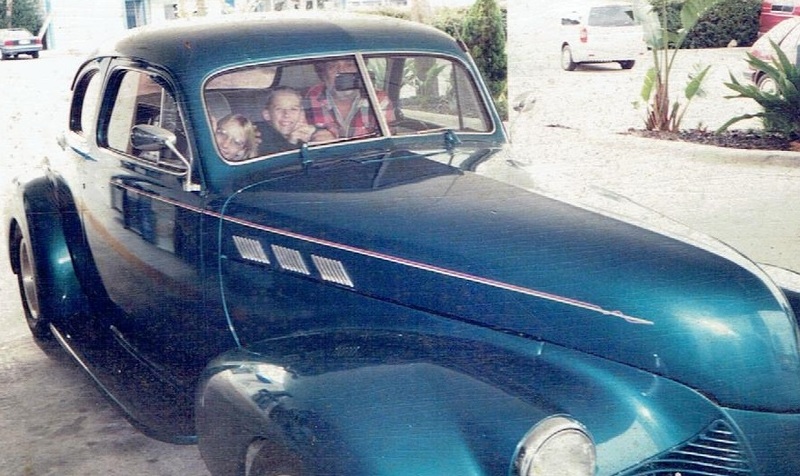 He loved to work on his old Pontiac and to read about hot-rods and cars in general. He was knowledgeable about current events, easily able to recite facts from sports, politics and many other subjects. He was easy to talk to because he genuinely took an interest in what you had to say. Without a trace of ego or selfishness, he cared about people. You were taken from us much too early, Steve. You were a caring brother and uncle, a hard worker, a supportive colleague and a good man. We’re deeply going to miss you. Goodbye, good friend. Rest in peace. In lieu of flowers or gifts, please send a donation to Wishing Well International Foundation. Steve was proud to be a part of the cause for clean water. 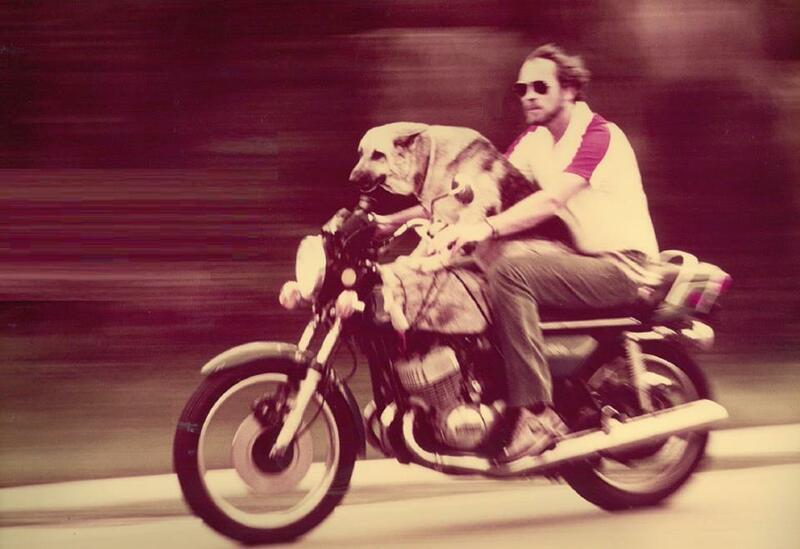 He also loved dogs. A donation to your local Humane Society would also mean a lot to him. Thank you. Девочки, помогите советом! Нашла статью на одном женском сайте о зубной пасте. Как оказывается, её можно использовать вместе с моющим средством на кухне. В статье написано, что что зубную пасту из тюбика можно применять как полировочное средство для дерева, как средство для полировки хромированной посуды, ею можно удалять неприятные запахи как из мебели на кухне, так и с рук, а также – очистить сливное отверстие. Спектр применения довольно широк, но эскперименты ещё не проводила . Может, кто-то уже применяет на практике «данное универсальное средство» и поделится опытом. Ведь испортить кухню и навредить себе я не хочу. Девочки, помогите советом! В интернете прочитала о зубной пасте. Оказывается, её можно использовать вместе с моющим средством на кухне. В статье говорится, что зубную пасту можно использовать как средство для полировки дерева, как средство для полировки хромированной посуды, ею можно удалять неприятные запахи как из мебели на кухне, так и с рук, а также – очстить сливное отверстие. Спектр приминение достаточно широкий, но эскперименты ещё не проводила . Может, кто-то уже применяет на практике зубную пасту как моющее средство и может поделится опытом. Ведь не хочется навредить себе и испортить кухню.